Kong Wobbler is very durable toy and you can easily make the toy more challenging. This toy is size L and it opens in the middle so it’s easy to clean. 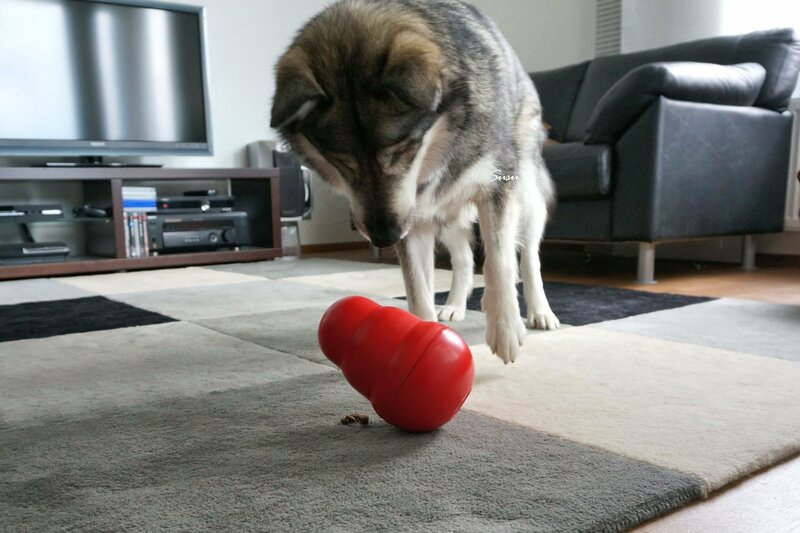 I usually put only kibble in this toy. 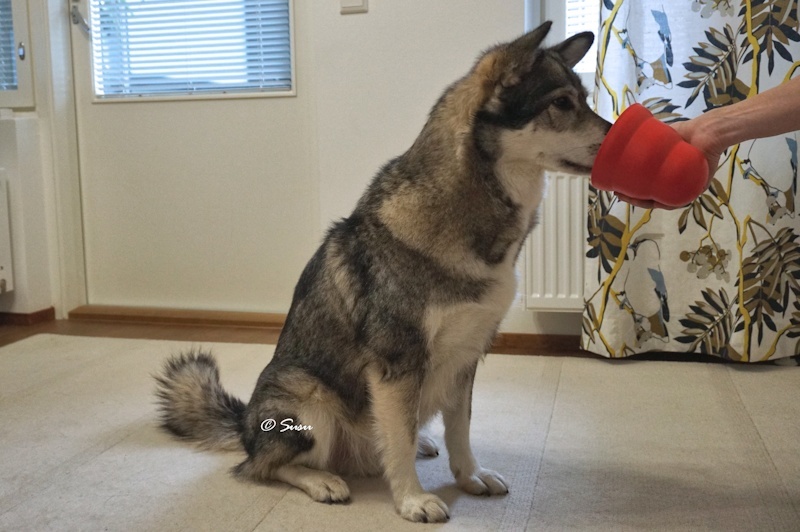 Miki learned the idea of this toy very quickly, and it only takes Miki about a minute or two to get all the kibble out. So then I wondered how I could make this otherwise great toy more difficult. 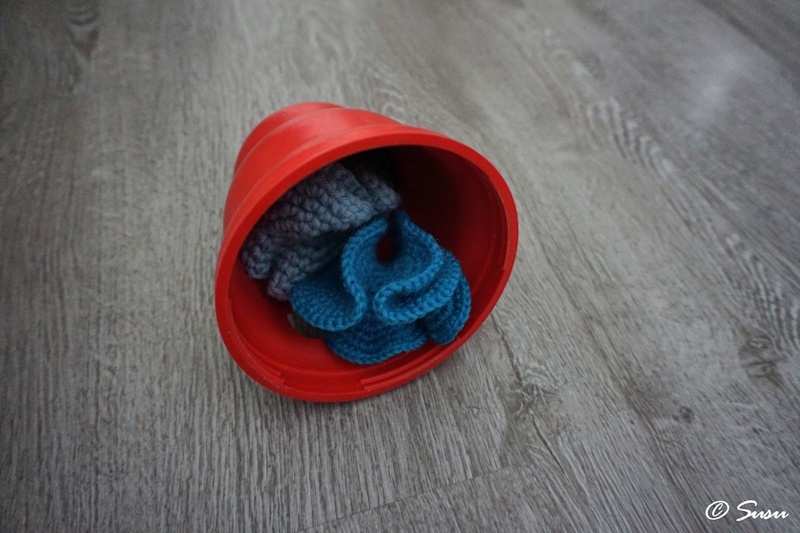 I cut about 20 x 20 cm (about 8” x 8”) piece from a towel, and put it in the toy along with the kibble. That slowed Miki downabout a minute, so then it took Miki two or three minutes to get the kibble out. 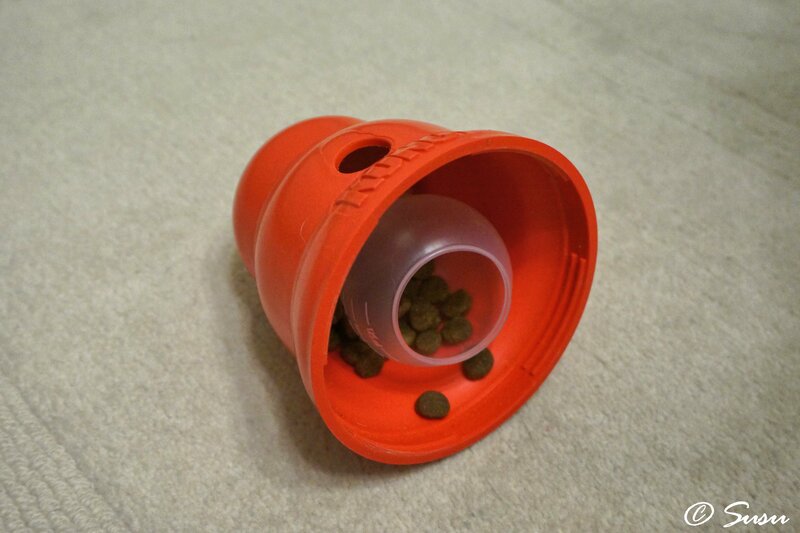 You can also put some tennis balls or some other soft balls inside the toy with the kibble. 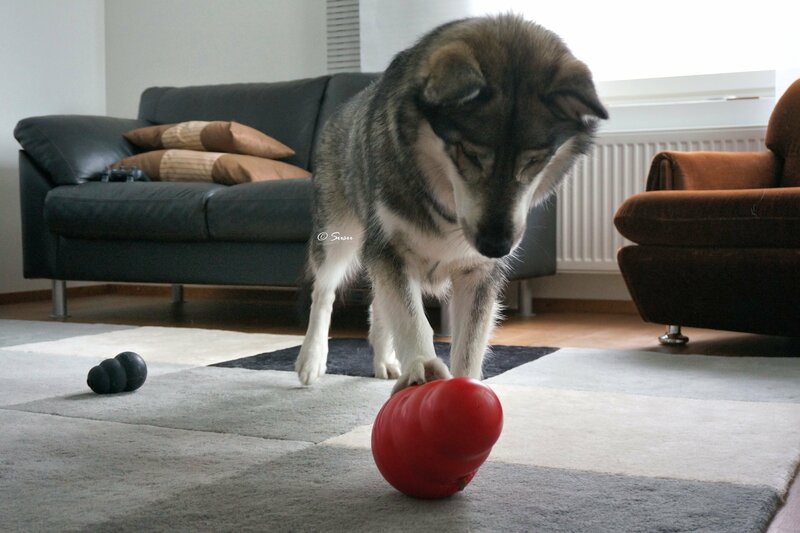 I’ve put a laundry ball into the toy, and then it takes Miki about five minutes to get all the kibble out. 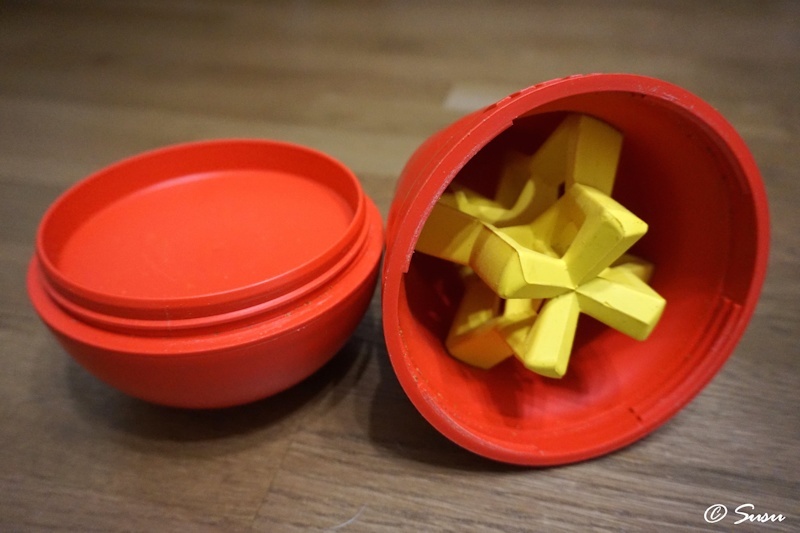 You can also put another toy inside it, like this Space Ball Stellaron toy or some small corals to add the challenge.